Can Q 700S play HD videos????? 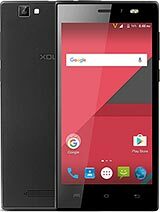 I purchased xolo q700s on 6/6/2014. When I insert sim I get flash msg again and again after 10 min. Interval. The flash msg is "last msg charge from . main bal. ** ***". If anyone know the Sol. Pls reply me. Its a SUPERB in this range. AnonD-237233, 04 May 2014xolo q700s is not excellent phone. 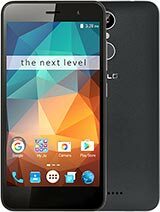 I am have been using this phone since march 2014. it is han... morexolo q700s will get kitkat update in few days company conformed that last month. I'm satisfied with it's performance that is totally superbbb.. 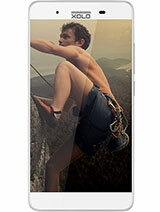 But why you sell this phone by advertise wrong information. 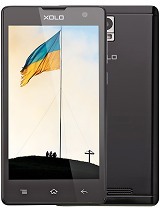 You mentioned that it has a mediatec processor but I found that it has cortex a7 processor which is cheap than mediate. And the another problem in this device is heat. It heats while its on charge or at the time of net surfing. So please forward a look on this problem. i am Ravi Rawat from jalandhar punjab. 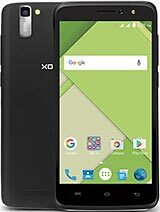 i purchased xolo Q 700s on January 2014. i was satisfied with the performance of this device and after that i purchased three more devices of xolo company. but my problem started on the 20 may 2014 when my xolo Q700s got completely dead. it is not getting power on. i went to your authorised service centre bunty mobile world jalandhar. The person over there told me in the evening i can collect the mobile. when i went in evening to bunty mobile, he told me to come next day 4pm. next day when i contacted him, he told me the motherboard of the device is to be replaced so this device will send to company's head office and will take 12 to 15 days. Now the problem starts. i called 23rd may Friday to customer care to know the status of my mobile. first i had to hold twenty minutes and then your executies told me that he is unable to tell the status of the device even he cant tell that weather the device received or not. he told me to contact after few days. then i sent email to company's email id. but did not get any reply. after three day i got a mail where i have been told that your complaint is under process. then on 27 may 2014 Tuesday i contacted again to customer care execuitive. but answer is same. no status i found. i got frustrated with the behaviour of such reputed company. then i searched on internet to know the reviews of customers . i got surprised to see the complaints about the after sales service. anyway then i called again 2nd june 2014 to know the status of mobile.. here i want to mention i had to hold about 25 minutes. then i have been told on 31 may 2014 this device is reached to noida office. and it is under process and take twenty days more. i got so so surprised that i submit mobile on 20 may and it reached noida on 31st may. eleven days to reach the mobile. nowadays courier service is so fast. none of the courier company takes eleven days to send the parcel. here my question is that today is 2nd June. this device reached you in eleven days then how much time it will take to repair. i am so so unhappy with company's behaviour. There is a limit of everything but these people seem shameless and even least bothered to retain the old customers, forget about gaining the new ones. How can somebody in such I competitive market turn so blind I cant believe. If these people think that a common customer can not do anything against them then its their biggest misconception as these common customers are the only reason why they are still in the market. Asking to customer care center have only one response that part is awaited. Are this kind of service this Company is offering. 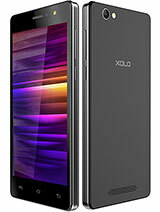 So conclusion is that if you will buy xolo cell and if it get probelm, just purchase another cell. Expecting xolo to repair and give back to you will take months to happen. I have sent so many mails no response. Solve my issue. As i am an internet blogger and i dont want to blog about it. So please not to trouble your valuable customers in such competitive world of business. how can i update my reset factory data settings. when i was choose that option, that is asking xolo secure 6digit pin number.i already put the 123456, 000000. it is showing wrong possword. kindly solve the problem as early as possible.